I know there are fans that want to see us go back to our old L.A colors. It’s not as simple as that. Our focus has always been on introducing new uniforms the year we open a new stadium. That’s the opportune time to shape your brand. I don’t particularly love our current uniforms — I know there are a lot of fans who feel that way. But the thing that makes the most sense is to keep them in place for now. That was Los Angeles Rams COO/VP Kevin Demoff to Gary Klein the LA Times (clicking will use one of your five free views from LAT per month…) back in March of last year, barely more than two months removed from the league-approved decision to relocate the team to LA. 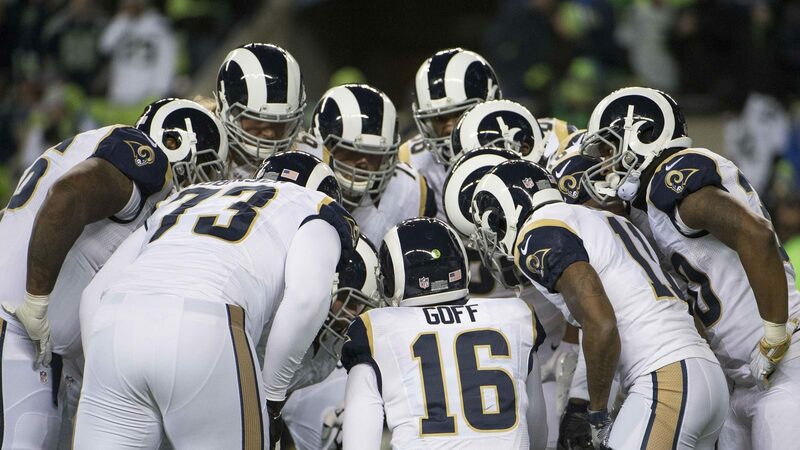 As soon as the team received approval, a significant number of fans began clamoring for the Rams to modify their uniforms from a navy and gold color scheme to the blue and yellow of years past. Today, a leaked style sheet suggests the Rams might be moving to the throwbacks…but not the blue and yellow throwbacks you saw so many of in the stands at the Coliseum this year. One note of importance: this leak refers only to the logo and not necessarily any intended uniform changes. Current NFL rules require a two-year grace period between requesting an official uniform change and implementing them. So whether the Rams applied for a uniform change last offseason or this offseason, they wouldn’t be able to actually implement them yet. As Demoff suggested in that March interview, if the team intends to debut new uniforms in the 2019 season, they wouldn’t need to apply for a uniform change until this offseason. I can confirm that the document is legitimate (as you can see, it confirms the Lions info I provided yesterday). What I have not confirmed is whether this means the Rams will have new uniforms in 2017. It seems like they would — like, if you eliminate a color from your logo, you’re probably going to eliminate it from your wardrobe as well — but I want to stress that I do not have confirmation on that. So let’s not go all crazy about that just yet. I’ve long suggested the Rams wouldn’t return to the popular blue and yellow scheme as it wouldn’t maximize revenues. The blue and yellow combo remains the most popular uniforms in franchise history. They’re going to sell regardless. Changing to something else would allow the Rams to sell the blue/yellow throwbacks and a new design. And if you’re expecting the Rams to switch back to the blue and yellow jerseys just because they’re the most popular or it’s the “right” fit, you haven’t paid much attention to how this franchise conducts itself. As it stands, it’s another marker of the Rams making the return to Los Angeles a more complete effort with the 2019 season and the christening of their future home looming on the horizon.